Boustead Holdings Bhd aims to launch its 1 Cochrane condominiums in Cheras early next year, said divisional director under property Datuk Seri Ghazali Mohd Ali (pictured). “We are currently reconfiguring the sizes of the units and cutting the space down as some buyers are having difficulty in obtaining bank loans. If the sizes are smaller, this will help the buyers to secure a bank loan more easily. There will be a total of 880 units of condos and we will launch half of them first early next year,” he told TheEdgeProperty.com in an interview. He declined to reveal further details on the project. Ghazali noted that there will also be three blocks atop the MyTOWN Shopping Centre at Jalan Cochrane — which will be opened this year end — of which two are condos, while the other will comprise either serviced apartments or offices. However, he also declined to reveal any details about the towers. Aside from the project in Cheras, the group is also working on other developments in Johor, Semenyih and Mutiara Damansara. “Despite the downturn in the property market in Johor, Taman Mutiara Rini [in Johor] is still doing well. We are launching an average of 700 to 800 units of homes each year. To date, we have launched some 7,000 to 8,000 units of homes since we first started in 1996, with unsold stock of only approximately 200 units, which are mostly bumiputera lots,” he said. Some of the properties that have been developed include 2-storey terraced homes, semi-detached houses, bungalows, shops and medium-to-low-cost apartments. “We have some 400 acres of land to develop out of the 1,400-acre township, and the remaining land will only be used for residential projects,” Ghazali said. 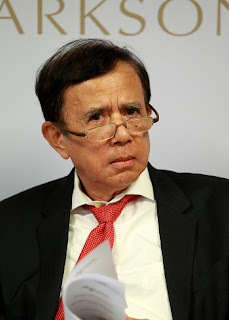 Meanwhile, Ghazali noted that its new 1,400-acre township, Mutiara Hills in Semenyih, which was formerly the Balau oil palm estate, will commence construction next year with a few anchors for its retail area already taking up a few hundred acres there. “We are in the midst of working with some of the developers such as EcoWorld to further improve the accessibility and the roads there for our future residents and buyers,” said Ghazali. “In Mutiara Damansara, we have our upcoming Nucleus [office] tower sitting on approximately 290,000 sq ft of land space under construction. The building will be Green Building Index (GBI) rated. So far, there are two multinational companies showing interest in occupying the office space,” noted Ghazali. He also said that there are still about five corporate lots to be developed in Mutiara Damansara. Boustead still has not made a decision about the tenant mix for the development. “If we were to rent it to maybe one or two anchor tenants, the rent psf may drop as they will try to negotiate for a cheaper rental rate. However, it will be easier for us to manage our tenants since we only have to work with one or two of them. But if we were to rent it out to a few tenants, we have to keep up with the idiosyncrasies of all the different tenants. But the good thing is that we will be able to maintain a higher psf price. So, there are good and bad in both scenarios,” Ghazali explained.